With the impressive numbers of young people in the past weekend's #MarchForOurLives and the mobilization due to the Parkland shooting, much has been made about whether this is an awakening, like the #MeToo movement, of young people and how they will respond, especially if they register to vote when they turn 18 years old and then actually show up to cast ballots in November. Much of the research about youth turnout at the ballot box notes that rates of voting among younger votes has been significantly lower than older voters. 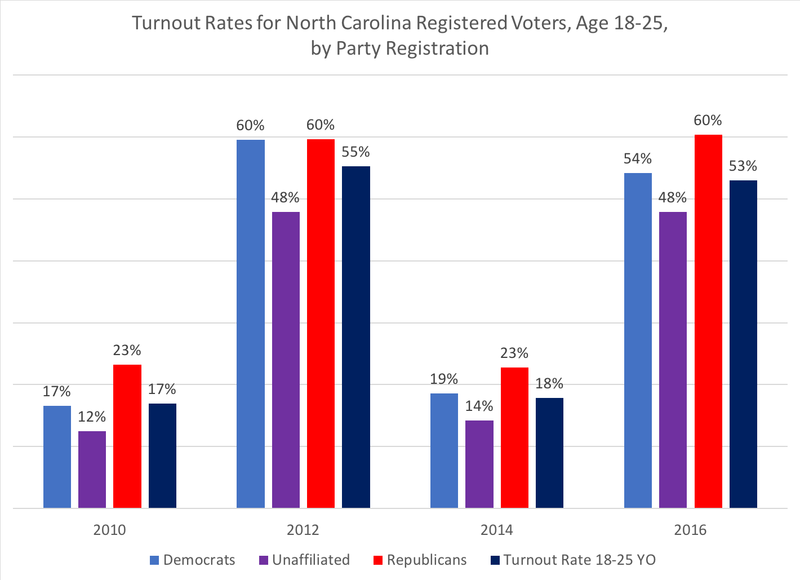 But with the apparent energy and potential mobilization effect, young voters could see a higher turnout rate this November, due to the apparent energy and potential mobilization effect, along with a significant disapproval of the president (and mid-term elections tend to be referendums on the president and his party). 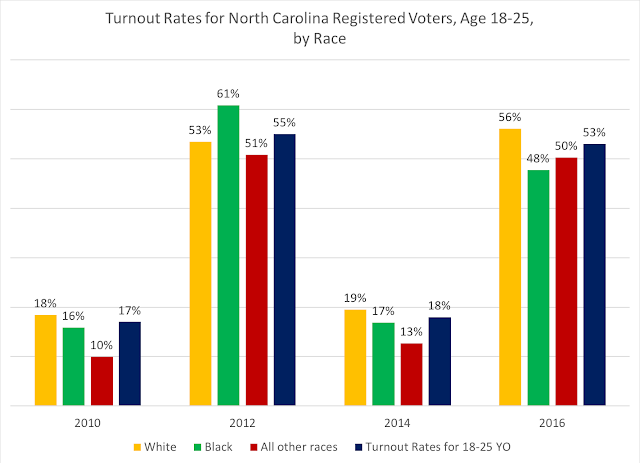 As is typical, mid-term elections tend to have a lower overall voter turnout than presidential elections, with all age groups having lower turnout rates in mid-terms. 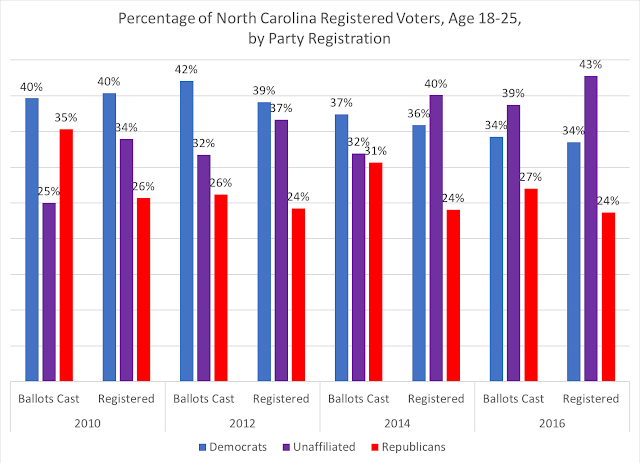 In the past three mid-term elections, registered younger voters (age 18-25) have turned out at 11, 17, and 18 percent, significantly below the state's turnout rate among all registered voters. In presidential election years, those rates increase dramatically: 62 percent in 2008, thanks in large part to the grass-roots organization efforts of the Obama campaign, dropping down to 55 percent in 2012 and 53 percent in the most recent presidential election. 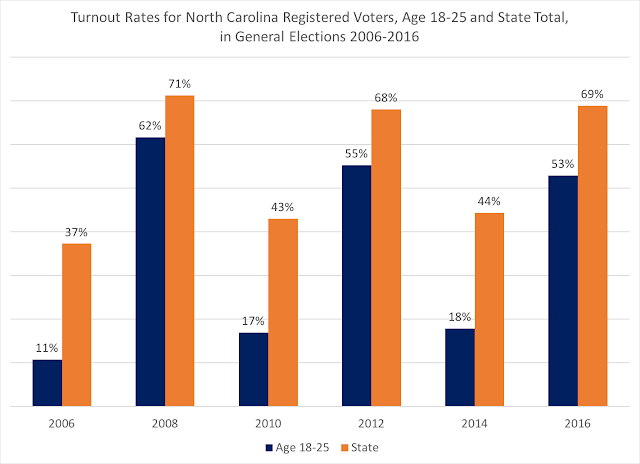 But like in mid-term elections, the youth turnout rate is still well below the state turnout rate among all registered voters. With the exception of 2008's election, when Democrats tied Republicans in turnout, GOP youth voters have higher turnout rates than Democrats or unaffiliated. Even though Republicans are seeing significant declines in their registration numbers among younger voters, they tend to 'overperform' their registration percentages in turnout rates, especially in mid-term years. 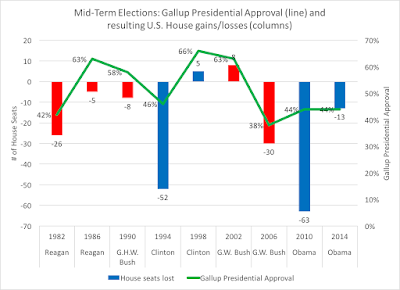 While these past trends tend to paint a dismal picture of youth voting, this year's election may not track with past trends, so the likelihood of having similar results in 2018 to past mid-term elections could be wildly off-base. An interesting "test" of whether the youth vote will turnout in higher numbers will be the upcoming primary elections; for North Carolina, that will be in May. According to a recent poll, a significant majority of youth plan to show up for the primary contests. 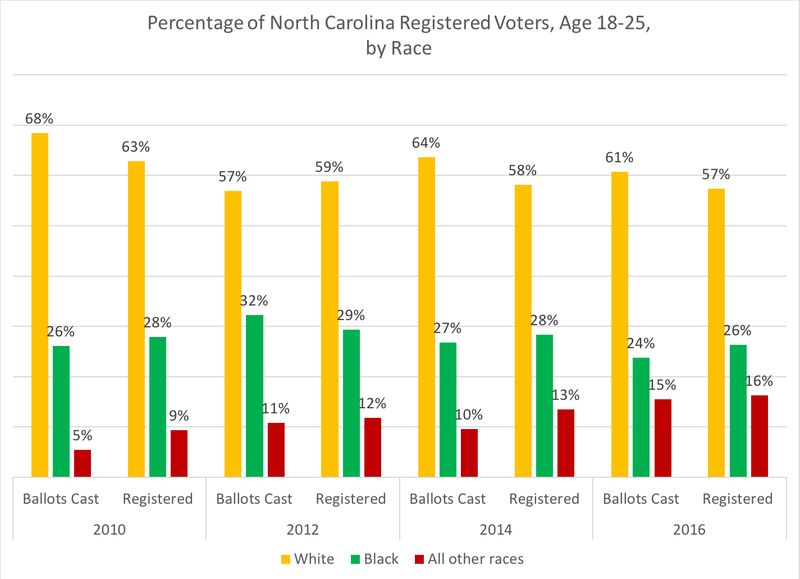 But as the same poll also found, younger voters need to be registered and actually know when the primary contests are being held. 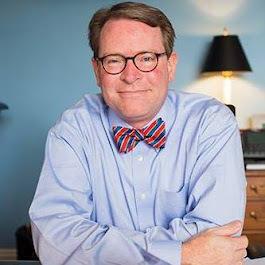 For North Carolinians interested in this year's primary election: voter registration for the May primary ends on Friday, April 13, with early voting beginning on Thursday, April 19 through Saturday, May 5, and primary election day on Tuesday, May 8.